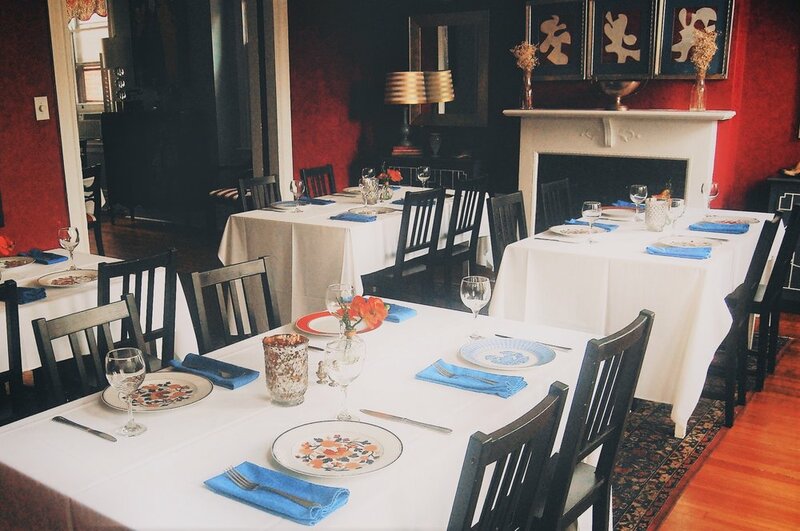 Host your next holiday party, rehearsal dinner, shower, or special event in our beautiful private dining room! We accommodate up to 36 guests comfortably for a seated meal and up to 50 for a standing cocktail party. We offer a full bar, dedicated staff, and four delicious menus. There are no hidden costs, no room or rental fees, just the per person price listed below plus alcohol, tax, and gratuity. Billing is on one check, however are happy to offer a cash bar/individual bar tabs, if requested in advance. Thank you for submintting your private event request, we will be in touch shortly!